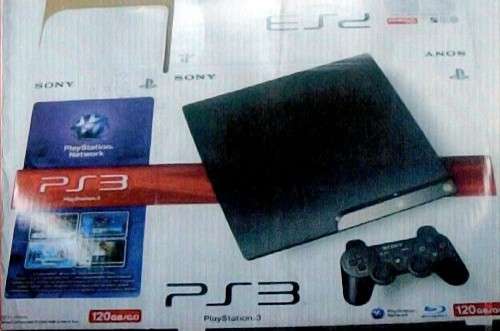 The much heralded, and much wanted, new slimline PS3 is likely to be on the shelves in the UK and US by the 1st September 2009. According to rumours, Sony has put in place production deals with Foxconn and Pegatron to manufacture the new units which new machines coming off the production lines by the end of July 2009.Â They are likely to head on to the shelves in Asia initially before being well placed in the Western PS3 markets in time for the US holiday season. Both the XBox 360 and PS3 have been criticised for their bulky design, drew in part from the need to aerate the powerful CPU and GPU’s running inside the machine, but improvements in fan technology and chip design has enabled Sony to be able to construct a new slimline design which will give the console a huge boost. Images of the new machine have already been doing the rounds on the net, this is believed to represent an image of a pack shot for the new machine. Potential PS3 purchases may be put on hold for the next 2 months as people wait to see the new price for the PS3 Slim.